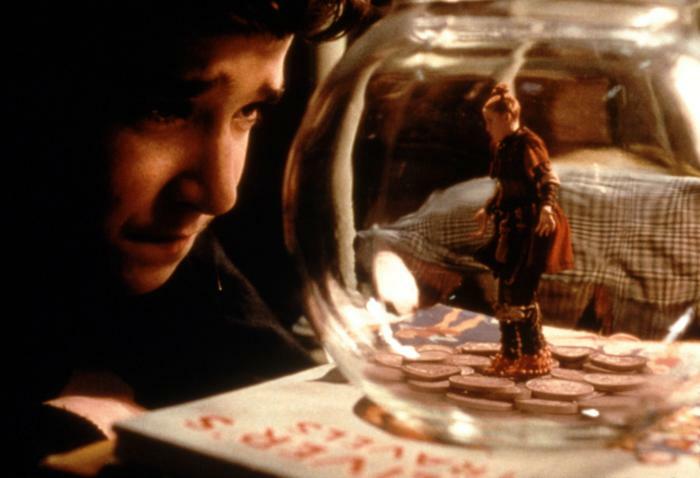 “The Borrowers” is based upon a series of books (by British novelist Mary Norton) centered around a premise that has always fascinated me ever since I was a child. You know how little things around your house seem to go missing? We naturally think we merely misplaced them and can’t remember where we placed them before, but what if there was another reason? What if there are little people living under the floorboards or within the walls, and they pilfer these objects when we don’t notice? These tiny people are known as “Borrowers,” as they “borrow” (kind term for “steal,” in their case) their survival needs—just little things lying around the house. The idea is intriguing and any book or movie centered around it interests me. Now to be sure, this 1998 film adaptation “The Borrowers” from director Peter Hewitt is very, very loosely based on its source material. 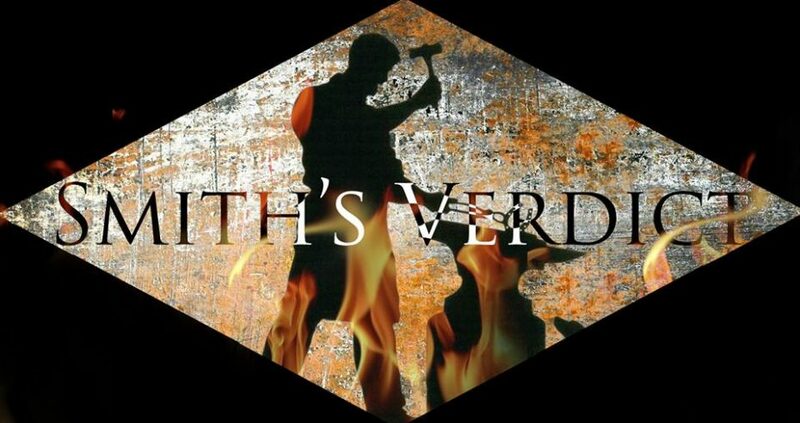 The only elements that remain the same are the central idea and the “Borrower” characters. But I don’t care how little it has to do with the book; as a stand-alone movie, it’s a charming, entertaining family film. It has fun with its premise, has top-notch special effects, and is flat-out entertaining. The four-inch Borrowers that serve as the central characters of the movie are the Clock family—Pod (Jim Broadbent), his wife Homily (Celia Imire), and their two children Arrietty (Flora Newbigin) and Peagreen (Tom Felton). They live under the floorboards of the Lenders’ house, unbeknownst to the Lenders who serve as their human “beans” who unknowingly provide them with things to borrow, but will squish them once they see them. At least, that’s how it goes. Arrietty goes exploring the bedroom of Pete (Bradley Pierce), the child of the “beans,” and winds up being seen. But when she finds that the boy doesn’t want to hurt her, she’s able to convince her parents to let him help them out of the house, which is about to be demolished. However, on the way to their new location, Arrietty and Peagreen are accidentally separated from Pod and Homily. The kids make it back to the house in time to notice that an evil lawyer, Ocious Potter (John Goodman), has in fact cheated the Lenders out of their house by lying about the will for the house never showing up. It turns out Potter has found it and wants to destroy it. But the Borrower kids mess with his plan by “borrowing” the will in hopes of saving the day. So Potter, along with an exterminator (Mark Williams), comes after them. This leads to several events in which the kids are placed in more danger by the gigantic bean, but always have the upper hand in comic fashion. Actually, you could call this movie “’Home Alone’ with tiny people” in the way these four-inch children (later joined by another young Borrower, named Spiller) constantly outsmart the normal-sized lawyer in a sort of live-action cartoon violence. Potter is covered in burning insecticide foam; he’s slightly electrocuted; he has a needle stuck in his behind; and so on. Neither of these is terribly harmful, compared to the “Home Alone” movies, but they are enthusiastically exaggerated and still force chuckles out of the ingenuity of the idea that these “little” kids always have the upper hand on this guy. This fantasy-adventure is brought to life with sensational special effects and amazing-looking, greatly-imagined sets. The sets that make the everyday world, with everyday items all around, look giant. Most of the charm comes from these set pieces alone. And the more complicated effects, integrating the humans with the Borrowers (including one complicated shot that looks like a steadycam shot of Pete looking down and talking to Arrietty who is standing on a table), are competently well-done. There are many creative, adventurous sequences that follow as the plot continues. Most of these involve little Peagreen. One has him clinging for dear life onto a dangling light bulb, as Potter turns on the light and is ready for the bulb to burn his hands so he can fall. And Arrietty has to save him with a tape measure. Another, quite possibly the most exciting scene in the movie, is the sequence in which Peagreen ends up in an empty milk bottle and taken to a dairy plant. Arrietty and Spiller (Raymond Pickard) must race to save him before it fills up with milk and is capped shut. All of this is good fun, and it moves at a brisk pace. I admire the visual imagination and the creative storytelling that went into this film. Although, a minor drawback is that because it’s so fast-paced, that it’s kind of easy to miss something in the plot. We never even see Arrietty convincing her family to trust a previously-feared human “bean” to let him help them; they’re just in the back of the moving truck, and Pod just sort of trusts Pete. Other little details like that get kind of annoying, but I didn’t mind all that much. Solid characterizations are given to the Borrowers and the beans, and they make the film more successful than it already is. And the characters are well-played by an ensemble of game actors. John Goodman is clearly enjoying himself, playing the nasty Potter who will stop at nothing to get his way; Flora Newbigin is excellent as the feisty, teenage Borrower Arrietty; Jim Broadbent is entertaining as Pod, who winds up barking orders at the human-sized Pete in order to find his and Homily’s children; and Mark Williams (as Potter’s henchman “Exterminator Jeff”) and Hugh Laurie (as a patrol cop) are on hand for effective comic relief. Director Peter Hewitt has shown in “Bill and Ted’s Bogus Journey” that he’s game for visual imagination and creative storytelling, and he’s just as solid in exhibiting it this time, though maybe on a larger scale (so to speak). “The Borrowers” is a delightful, entertaining fantasy-adventure that makes great use of its fascinating premise and delivers the goods.